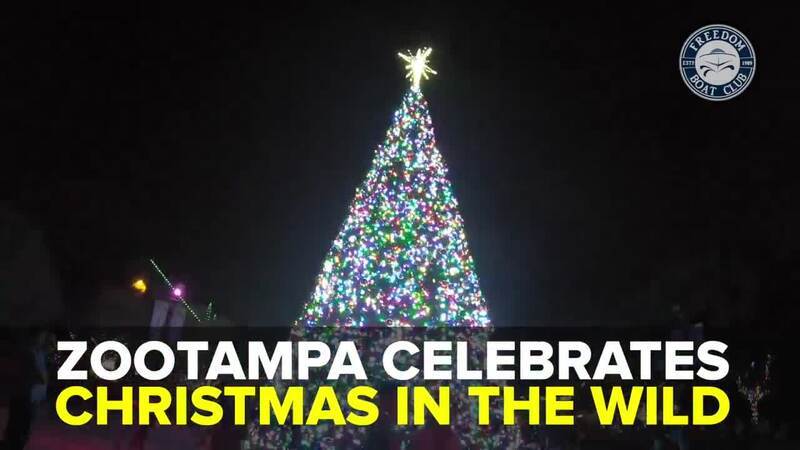 TAMPA, Fla. — It's time to get into the Christmas spirit! 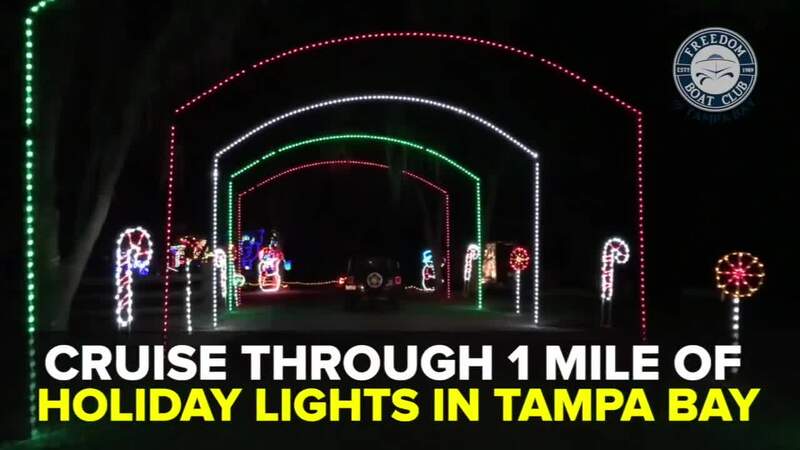 What better way to do that than to check out some of the best holiday light displays in the Tampa Bay area? When: November 24 - December 31 | 5:30 p.m. to 9:30 p.m.
Info: The annual "Holiday Lights in the Gardens" is a seasonal escape into a wonderland of twinkling lights and fun entertainment. Over 1 million LED lights shining throughout our Botanical Gardens highlighting our plants and in nature-themed or holiday-themed light displays. 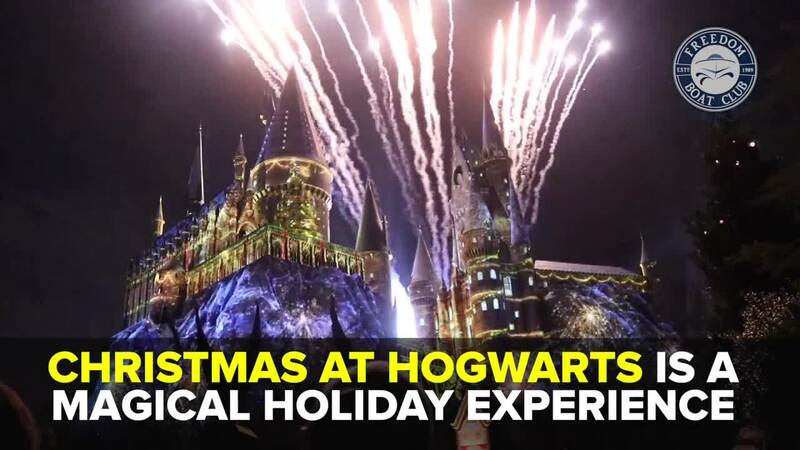 This is a family-friendly event with nightly entertainment, including visits with Santa. Refreshments are available, as well as Holiday-themed gifts at the Botanical Bounty Gift Shop. The event begins at 5:30 p.m. and a $4 suggested donation is encouraged for entry. When: November 24, 2017 - January 3, 2018 | 6 p.m. - 10 p.m.
Info: Drive through a mile of Christmas lights at the Hillsborough County Fairgrounds! Check out over 100 holiday light shows, Santa’s Village, horse-drawn wagon rides, face painting, pony and camel rides, Animals of Bethlehem petting zoo, and festive food and drinks. Info: Did Clark Griswold move into a local Chick-fil-A? 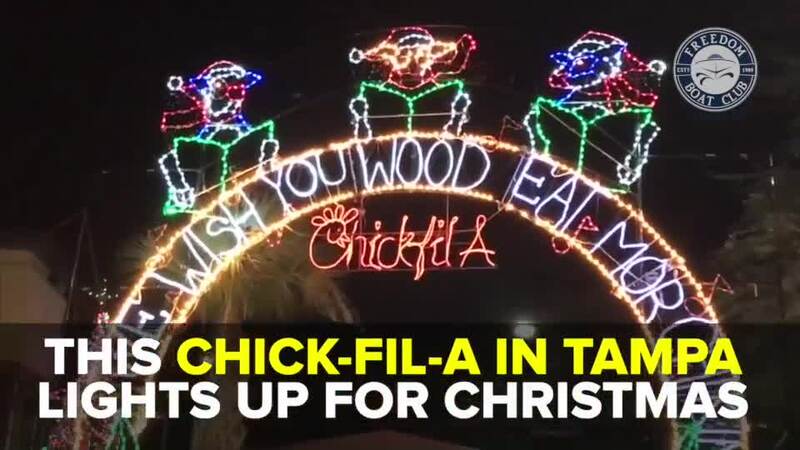 The restaurant located on Waters Avenue in Tampa has once again gone all out with their Christmas lights and decorations. Want to see for yourself? 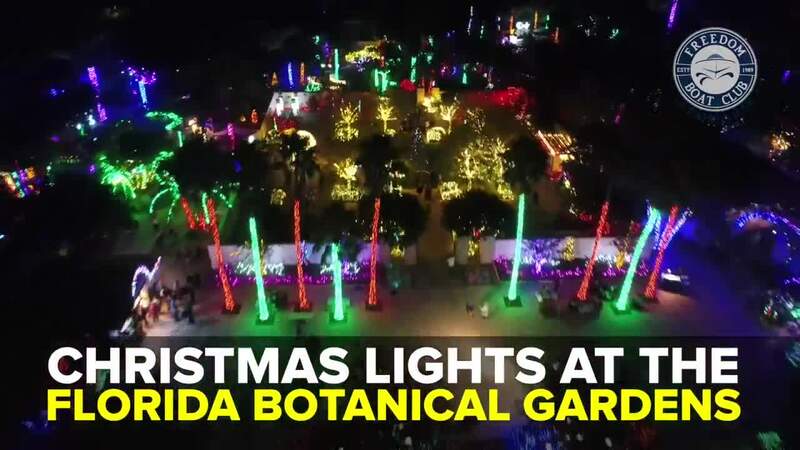 Head on over to 6299 West Waters Avenue in Tampa after the sun has set to check out the very merry and bright decorations. Info: ZooTampa at Lowry Park is transforming into a world of winter wonder for the Christmas in the Wild event! For 18 delightful nights, enjoy a merry and memorable evening with this unique, but traditional holiday event in the special setting of the Zoo at night. From the sights of stunning lights, the seasonal smells of holiday treats, the excitement of festive entertainment and the magic of wildlife at night, Christmas in the Wild will offer guests of all ages a uniquely immersive holiday experience. Info: Busch Gardens transforms into a beautiful Christmas wonderland with 3 million sparkling lights, holiday shopping, festive foods and even Santa's reindeer. 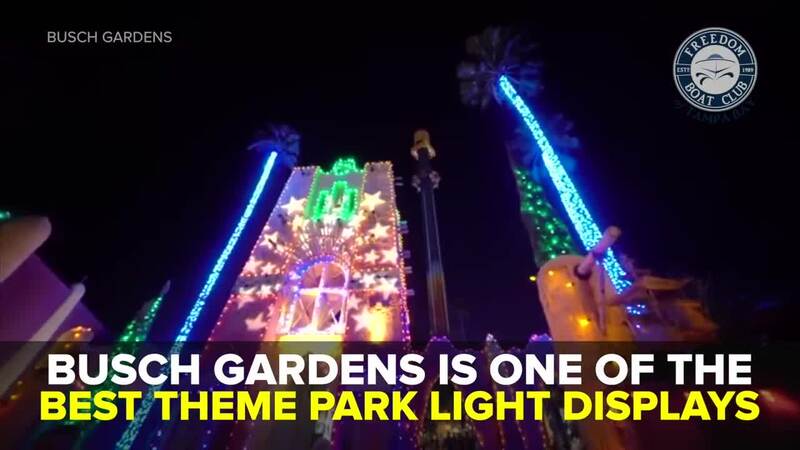 Enjoy some of the park rides at night for a unique thrill. Christmas Town runs November 19 through December 31 on select nights. Event Info: Mike Richards and Rob Silver have been neighbors for four years — they started out as friendly competitors, trying to see who had the best Christmas light displays. Silver tells ABC Action News he had a traditional Christmas light display for the neighbors to enjoy, then his neighbor moved in with the modern, bright LED lights. The two started decorating in September and the display is now running every night! Richards runs his own lighting and music production company, which helped him synchronize the lights and the music. And Silver owns Dynamic Painting USA, so he specializes in colors. They have eight songs that are synchronized to the light display. 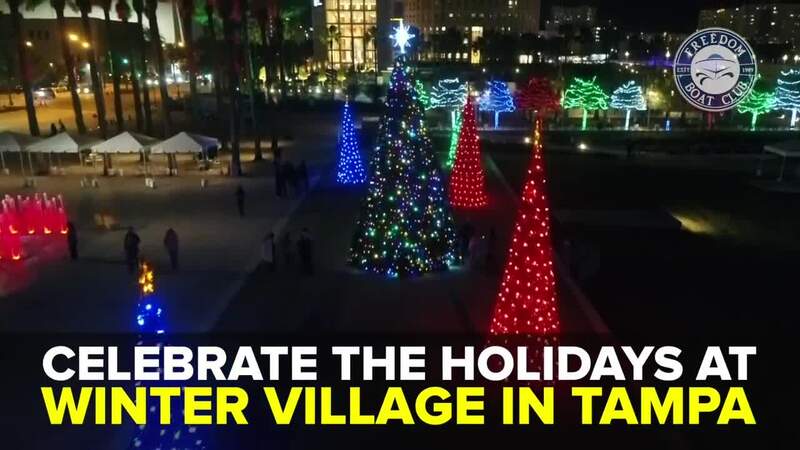 Event Info: Come celebrate the holiday season in Downtown Tampa at the Winter Village at Curtis Hixon Park! Located along the Tampa Riverwalk, Curtis Hixon Waterfront Park is transformed with the sights, sounds and activities of the holidays for children and adults of all ages. 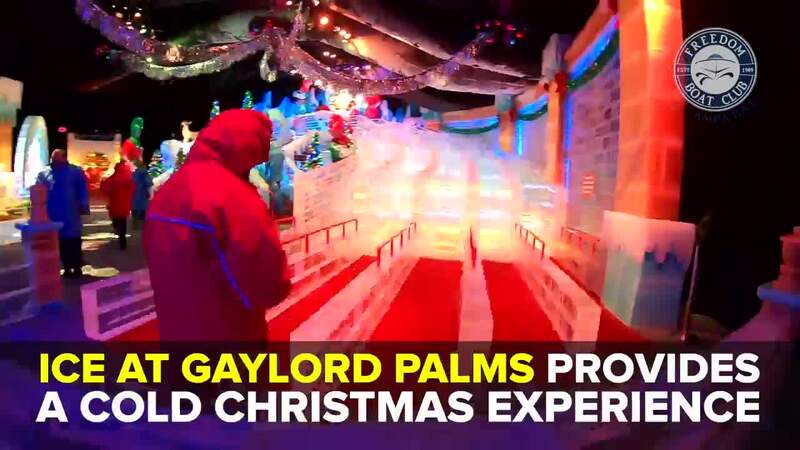 Go ice skating, shop at a Christmas market or watch a holiday movie on the lawn. When: 6 p.m. - 10 p.m. Event Info: Join the fun from November 24 to January 7 for our enormous holiday light display, complete with a 60-foot Christmas tree! The trail is open nightly from 6:00 p.m. to 10:00 p.m. Stick around and enjoy hot cocoa, fresh donuts, and much more! Children 2 and under are free for this event. Info: Christmas Lane is a Christmas wonderland! We are housed in the Charlie Grimes Building at the Florida Strawberry Festival and have grown a lot over our 35 years! We will have many light displays, food, carnival rides, a kid zone which includes letters to Santa, face painting, and ornaments. Santa and Mrs. Claus will be available for photos every night except Christmas Eve. Each Thursday and Saturday night, area churches will present a 30-minute living Nativity with live music, live animals, an outdoor set and an angel! Info: Hop on the ferris wheel and see over 2 million Christmas lights from the sky in Largo! The holiday light display at Largo Central Park will feature six light displays, carousel rides, food, drinks and much more. 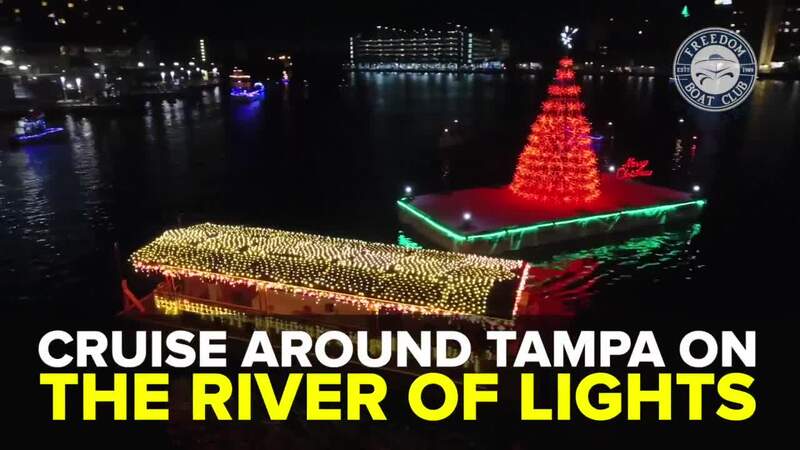 Info: Cruise Downtown Tampa and enjoy the beautiful sights of the holiday season. Pass beneath the lighted bridges to enter the Hillsborough River for a one-of-a-kind tour. Enjoy a whimsical narration on the first half of the cruise and then join in with Christmas Carolers on the second half, while sipping on hot chocolate and eating a delicious holiday cookie in hand. 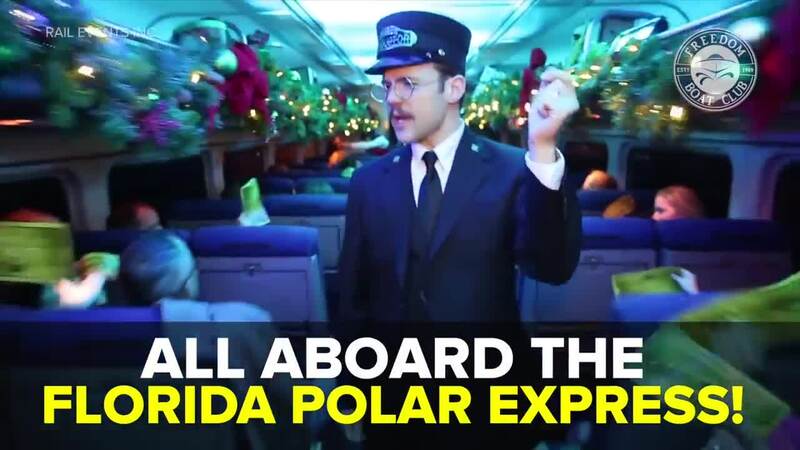 There is no better way to experience the holidays in Tampa! 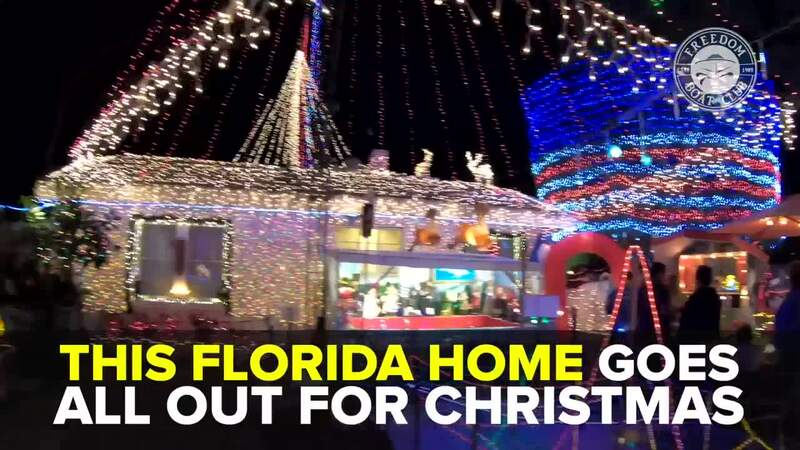 Info: This Tampa home is decked out in 55,000 Christmas lights synchronized to music played over the radio! Just tune to 88.3 FM when you drive down the street! 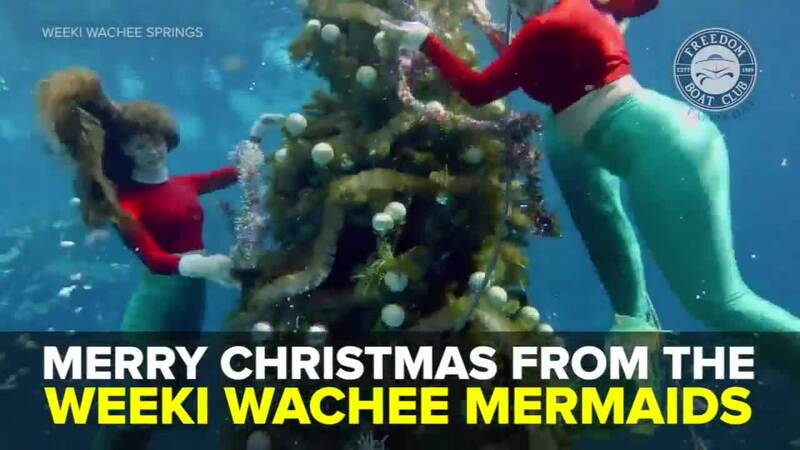 You'll also find a 17-foot Mickey Mouse, the Grinch and other Christmas characters at 11048 Streamside Drive, Tampa, Florida, 33624.